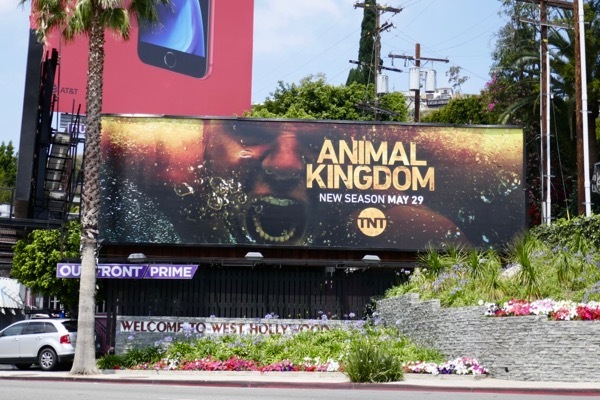 The television remake of 2010's Animal Kingdom film is back for third season and there's never a dull moment for the 'Cody' family. 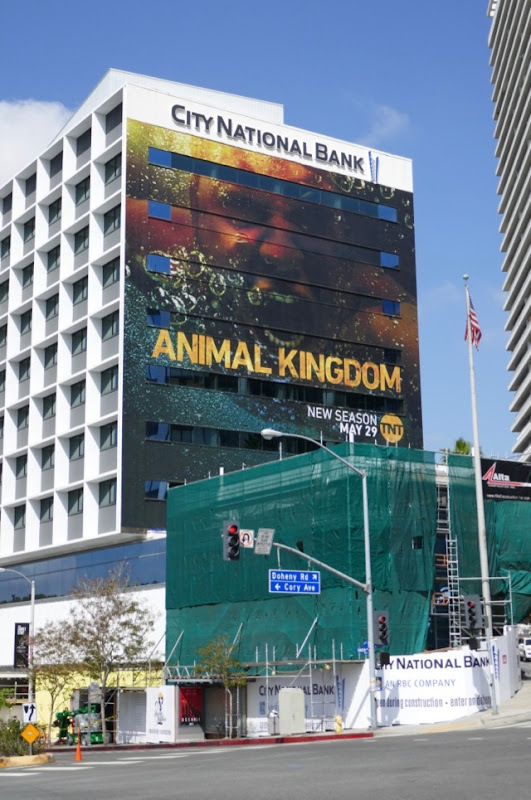 After Scott Speedman's 'Baz' was shot in the season two cliffhanger his fate is up in the air, Ellen Barkin's 'Smurf' is still in jail and Denis Leary is the sinister new visitor in the Southern Californian beach town to cause trouble as 'Deran's' (Jake Weary) dad. 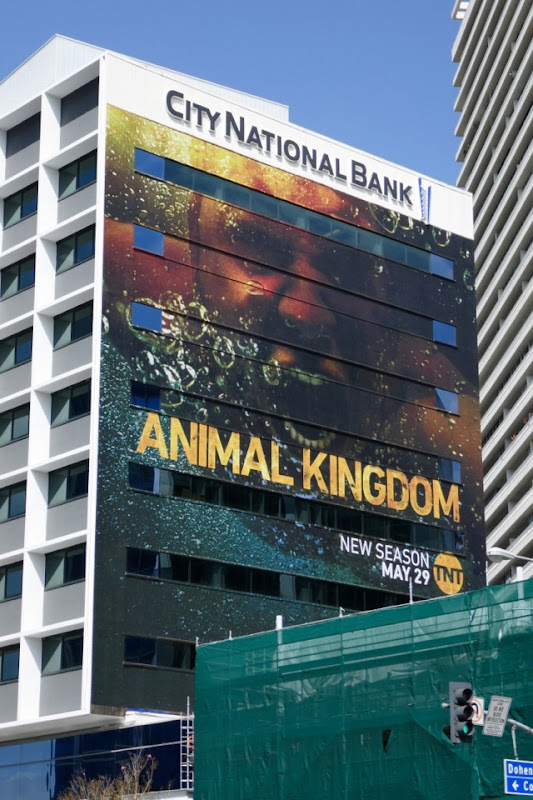 These season three billboards were snapped along West Hollywood's Sunset Boulevard from May 11 to May 14, 2018. 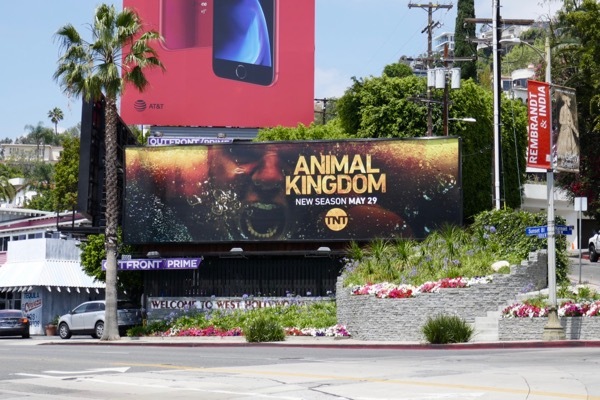 Fans of the TNT drama can also enjoy these previous season promo billboards for Animal Kingdom from recent years. 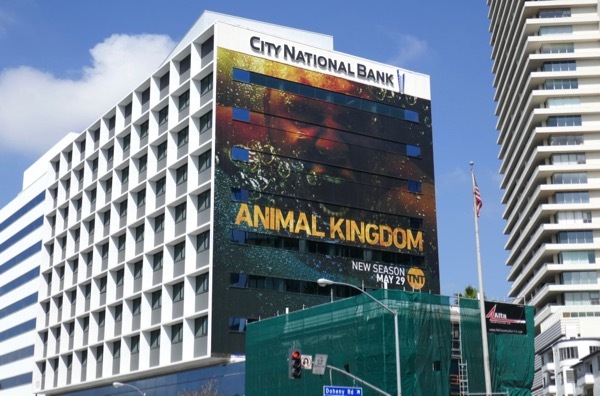 The key art for the third season could indicate a whole host of things, someone drowning, wiping out on their surfboard, or screaming underwater, or maybe a combination of all three where this crime family is concerned.